It is a much branched and sub-erect perennial plant about 30-60 or 75 cm high , having leaves about 5-15 cm long leaflets 9-21 , narrow and oblanceolata; red or purple flowers and slightly curved pods 3.7-5 cm * 4 mm containing 5-10 greenish-grey and smooth seeds. The plant or leaves are tonic , lexative , blood-purifier, deobstruent , febrifuge, alterative , cholagogue , anthelmatic and anti-diabetic. Leaves are used in diseases of liver , spleen, and gall bladder e.g insufficiency of liver, functions , jaundice, and billious febrile attacks; in chest affections e.g coughs, bronchitis ,asthma ,in blood and skin diseases e.g boils and pimples , eczema , psoriasis and ringworm etc. And intestinal worms and flatulence and piles. They are also used in diabetes mellitus. The root is bitter, blood-purifier, diuretic , demulcent , reslovent and febrifuge. 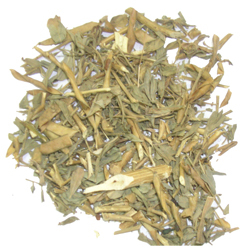 It is useful in dyspepsia , tymoanitis and chronic , burnt and fumes are inhaled for relief from asthma and cough. For the cure of enlarged glands of the neck, a paste of the root with rice water, is applied to the affected glands. An ointments made of the fine powder of the leaves with some bland oil has healing properties. The oil extracted from the seeds is an effecacious local application for eczema , scabies, itch other eruptions on the skin.